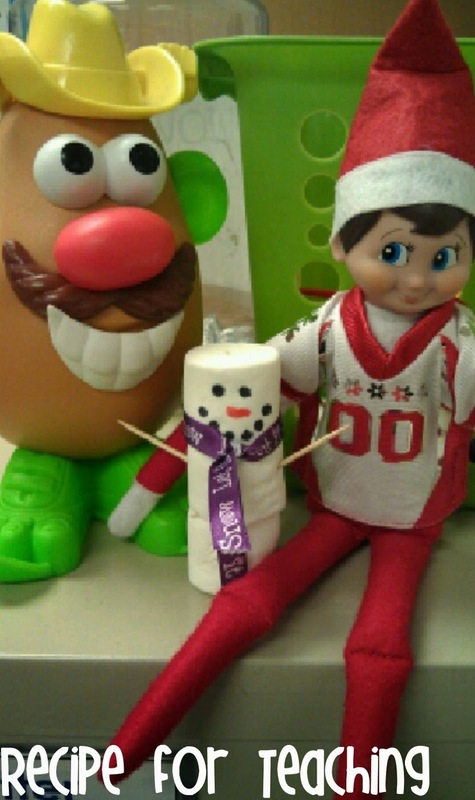 Jingle built a snowman with Mr. Potato Head! Jingle left us a Merry Christmas message! Jingle made a Christmas tree with the pattern blocks! 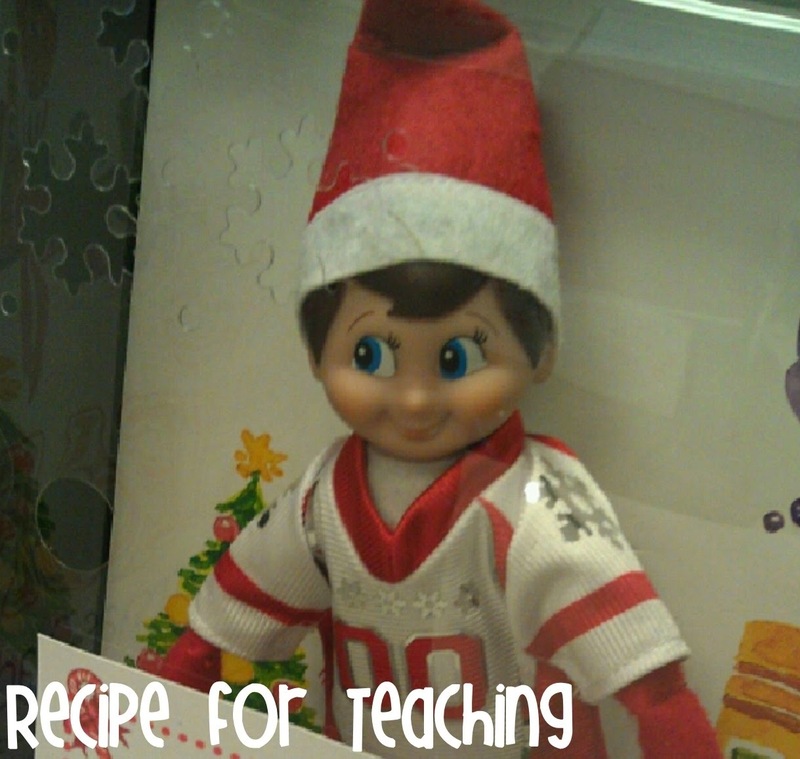 The kids LOVED this and were so excited to find what the elf had done each day when they came in each morning! 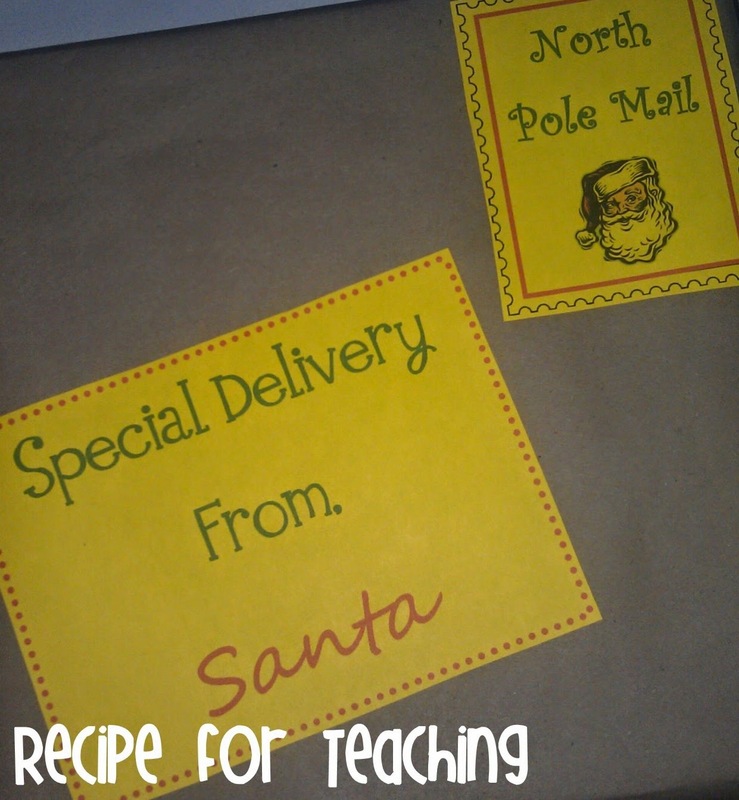 There are so many activities that can done with an "Elf on the Shelf" - lots of writing activities, class books, even voting on a class name we did during math! 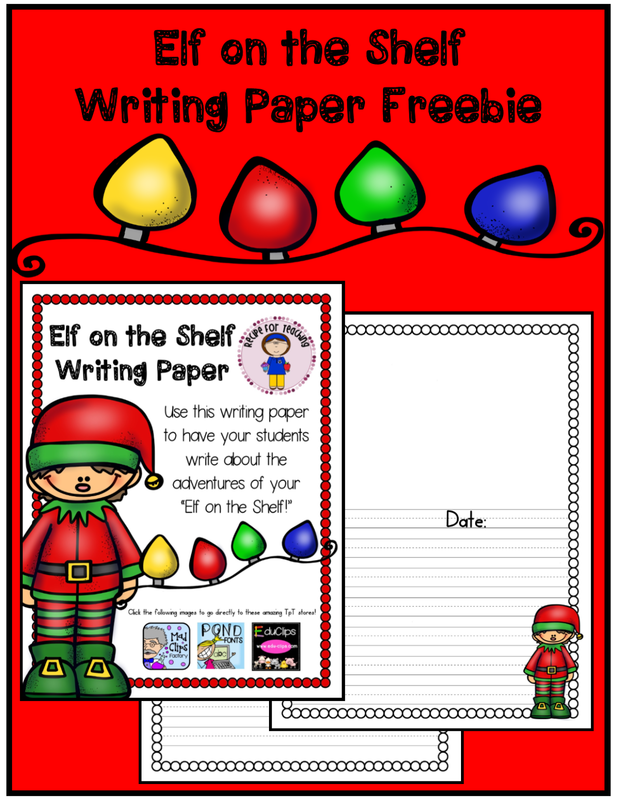 I've created a writing *FREEBIE* for you in my TpT store that you can use if you use an "Elf on the Shelf" in your classroom! 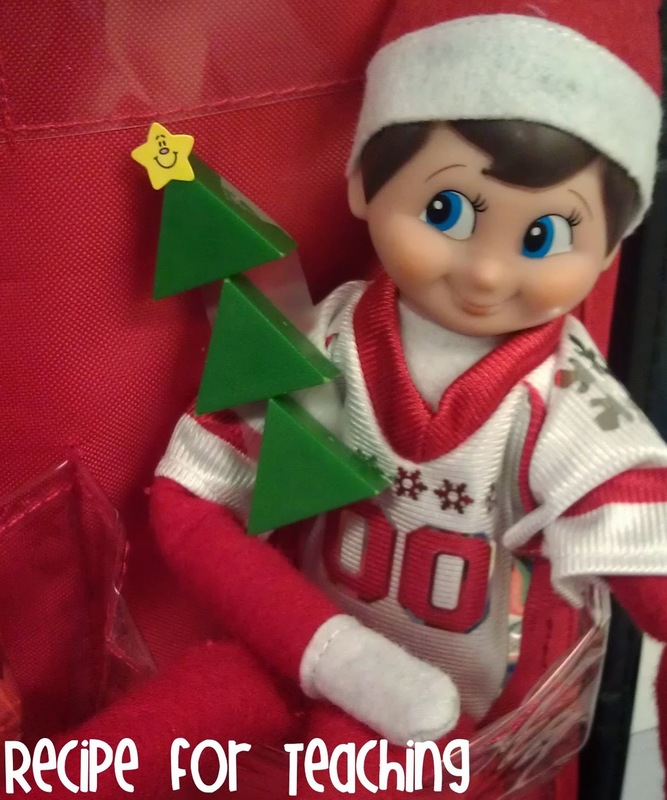 Do you use an "Elf on the Shelf" in your classroom?? 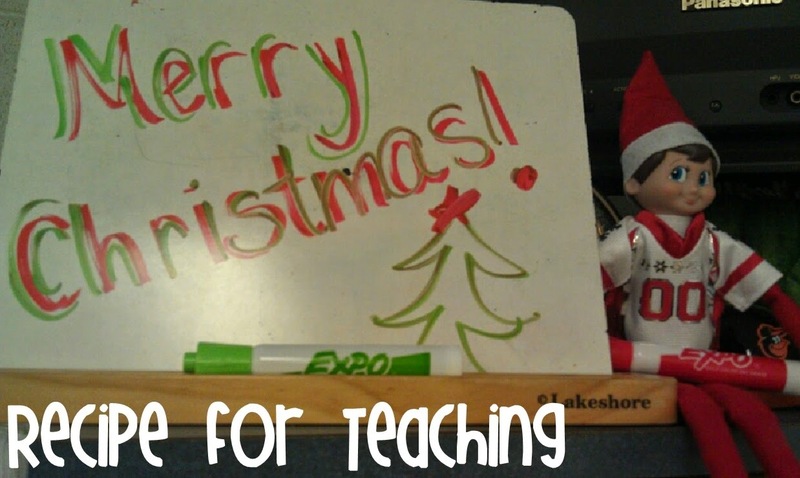 What are some of your favorite things for your elf to do in the classroom? ?